Beyond specifically designated medical conditions, the bill also covers endocannabinoid deficiency, cachexia or wasting syndrome, neuropathy, severe nausea, seizures, severe and persistent muscle spasms, tic disorders, and any other approved medical condition or symptom caused by the treatment of a medical condition. Since its inception in 2015, TCUP has been extremely limited in scope, serving only patients with intractable epilepsy who have already ruled out other medications, and permitting only certain specialist doctors to refer their patients to the program. This has caused very few patients, about 500, and roughly 50 doctors, to participate in TCUP. It also capped the THC percentage at 0.5 percent. “You know if we make a hundred dollars an acre a year where we farm, that’s a good year for us, whereas the predictions are three to six hundred dollars an acre for hemp on the lower end,” Herm said. Herm said there once was a dark cloud that hung over the idea of farming hemp, but now many farmers have no problem with it. “There’s not a week that goes by here since this new year that I don’t have 10 to 12 guys every week ask me, ‘What’s happening with hemp, when are we going to get to grow hemp?’ Five years ago, even two years ago, no one was talking about it. But now more farmers have educated themselves and made themselves aware of the differences between hemp and marijuana,” Herm said. And that grassroots-support only encourages lawmakers like State Rep. Tracy King. He’s a Democrat from Zavala County and one of six authors of legislation aimed at allowing hemp to be grown in the state and regulated by the Texas Department of Agriculture. King said hemp is one of the most versatile crops in a global market. “There’s certainly some viable uses in the construction industry for hemp for the fiber, hemp fiber and other products that come out of the hemp plant. You know, you can use the entire plant in some type of process with hemp,” King said. And of course, there’s CBD oil in Texas. 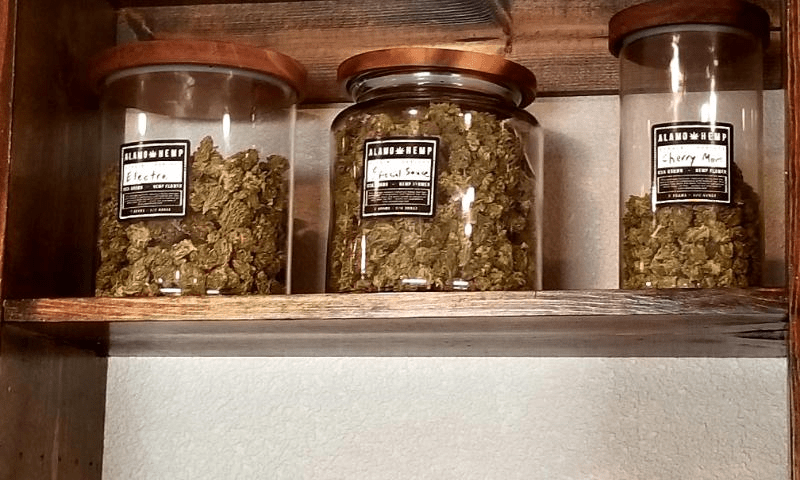 In recent years, shops selling everything from candies infused with CBD to…. The Texas Department of State Health Services has removed hemp from its list of dangerous drugs like cocaine and heroin, in effect making it legal to use, buy, sell and possess the plant and the CBD oil extracted from it in Texas. Stores that have been selling hemp and CBD products say they’re consumed in a variety of different forms to include creams and edibles and they’re used for a long list of ailments. Legal experts say previously, those shops had been selling the products under a grey area of regulations, and many continued doing so because there has not been any formidable enforcement effort against it. However, retailers and consumers will be free to sell and use now in Texas. The declassification, according to legal experts, doesn’t allow the farming or manufacturing of hemp in the state, but it is a step in that direction. Lisa Pittman, a leading attorney in….